Sonakshi Sinha’s forthcoming laughter riot, Happy Phirr Bhag Jayegi, produced by Eros International and Aanand L Rai’s Colour Yellow Productions and directed by Mudassar Aziz is certainly one of the most highly-anticipated movies releasing this year. The favourable response to the trailer launched recently is a testament to that! The movie also featuring Diana Penty, Jimmy Shergill, Ali Fazal, Piyush Mishra, Jassie Gill and Aparshakti Khurrana is special to her since it’s a successful franchise and also because she got the opportunity to work with director-producer Aanand L Rai for the first time. 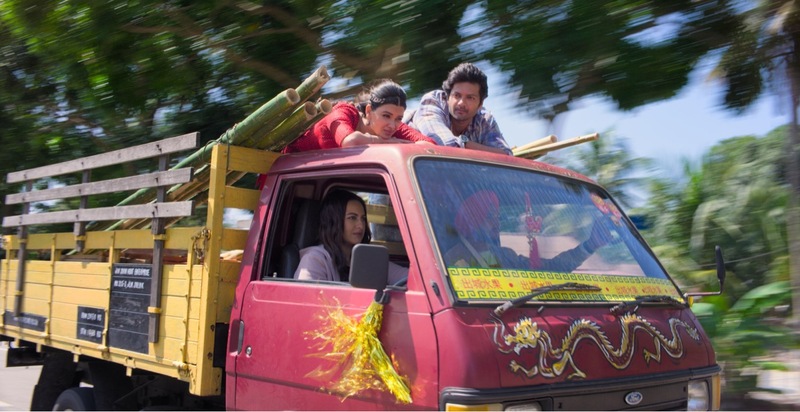 It was a memorable experience shooting for the comedy of errors for Sonakshi, as she pulled off the tough act of driving a truck. Yes, you read it right! Presented by Eros International and Aanand L Rai, A Colour Yellow Production, Happy Phirr Bhag Jayegi hits the theatres on 24th August this year.